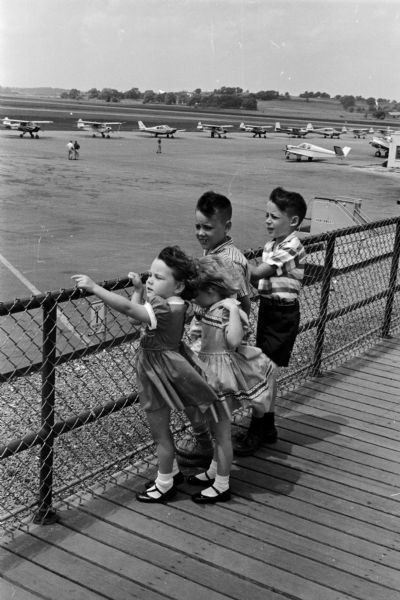 Four children stand on the observation deck watching planes at the Madison Municipal airport. The children include, from left to right: Carol, 3, Christine, 4, Michael, 8, and Stephen, 9. Their parents are Mr. and Mrs. Richard Usher of Montgomery, Alabama. The photograph was taken as part of an article suggesting Madison places and activities for summertime visiting. Published in Wisconsin State Journal July 20, 1958.